Longfleet took nine keen girls to this AFCB Bournemouth 6-a-side tournament, held at Littledown Leisure Centre. With nearly 30 other teams present, there were plenty of skills on show. 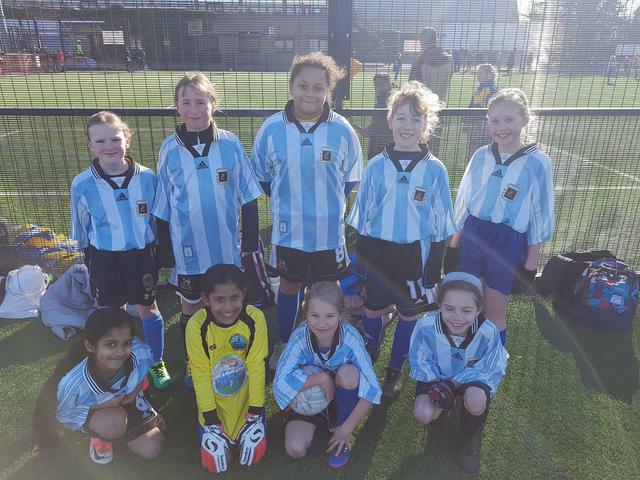 Longfleet had a tough group, with St Katherine's in particular showing lots of pace and good finishing. We held our own however and finished with four draws from five games. A special mention to Sophie M, who's tracking back and speed meant she seemed to cover every blade of grass in every match!